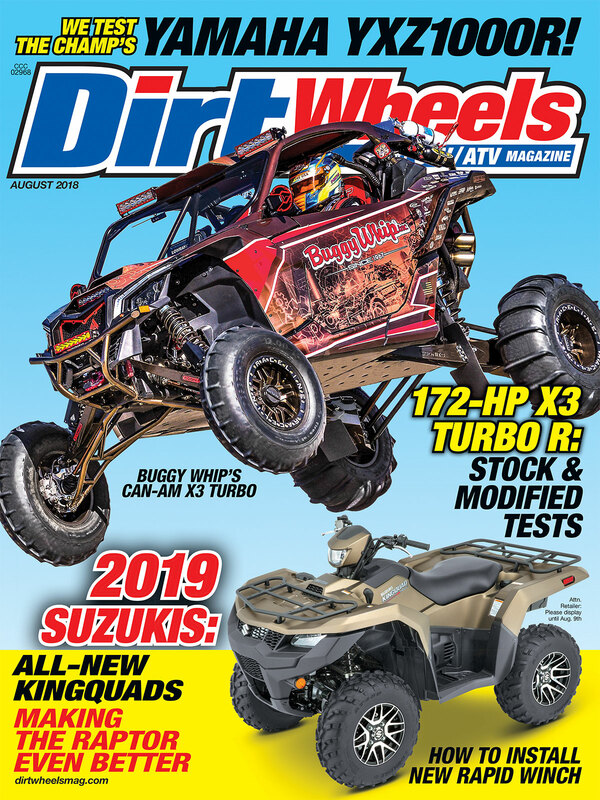 ON THE COVER: Russell Porter built an amazing Can-Am Maverick X3 to showcase his company, Buggy Whip. Photo: Pat Carrigan. Sitting below that is the all-new 2019 Suzuki KingQuad 750AXi. ON THE COVER: Russell Porter built an amazing Can-Am Maverick X3 to showcase his company, Buggy Whip. Photo: Pat Carrigan.Sitting below that is the all-new 2019 Suzuki KingQuad 750AXi. Is it better than an RS1?